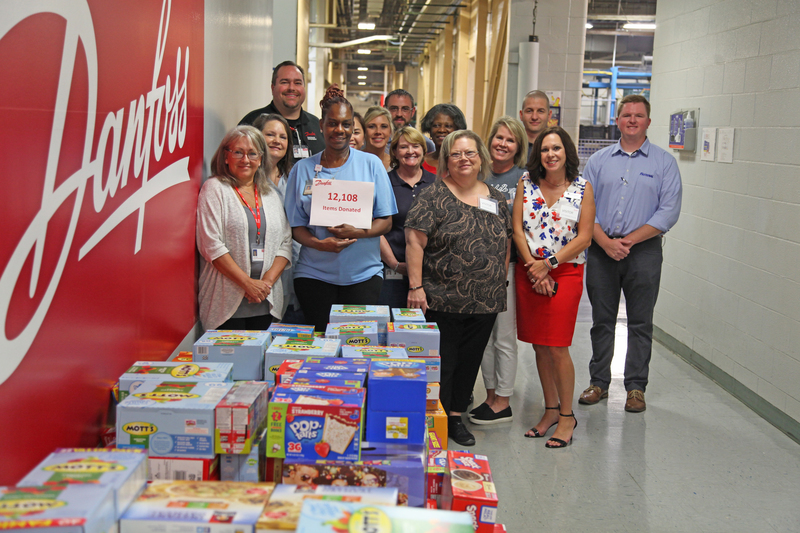 For the second straight year, Danfoss hosted the Back to School Food Drive in coordination with Patterson Federal Credit Union (PFCU) and the 2018 version brought in over 12,000 food items that will be distributed to APS students through school counselor’s offices. Since 2016, PFCU has worked with various local businesses and entities throughout the year to conduct various food drive for APS campuses to assist families. 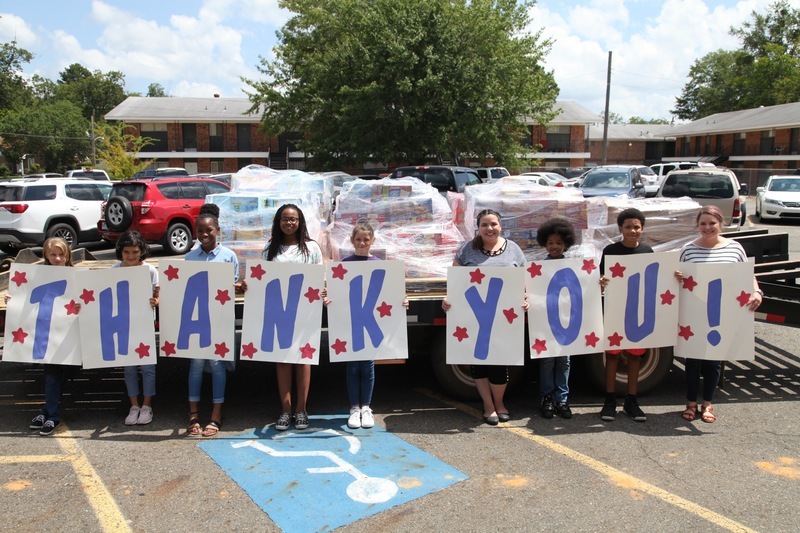 PFCU has held food drives with Alumacraft, Danfoss, Hitco, Henderson State University students and faculty/staff, Clark County employees and City of Arkadelphia employees. PFCU also works with APS campuses holding contests between classes. “Our goal is to have a food drive per month throughout the school year so the school counselors don’t have to spend their time searching for money or purchasing food when there is so much else they need to get done to help these children,” said Nicole McGough with PFCU. 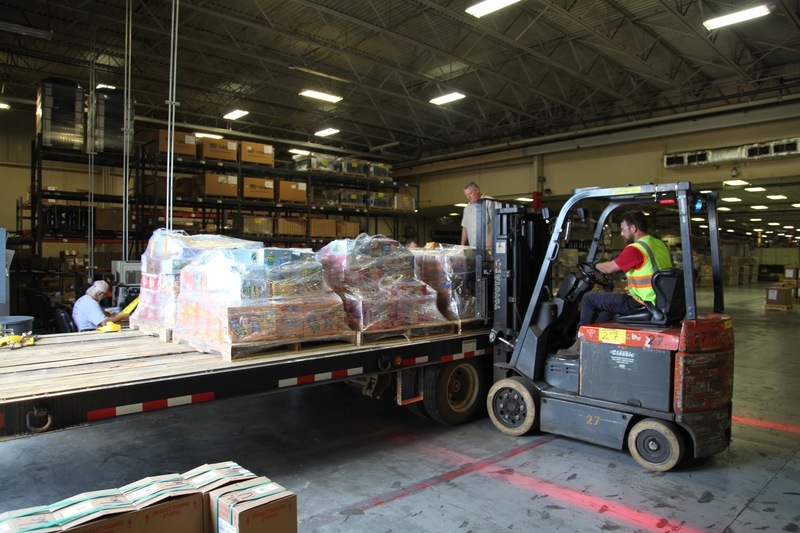 According to McGough, these food drives have brought in over 50,000 individual food items for school counselors to send home with students whose households are considered food insecure, or at risk of hunger. 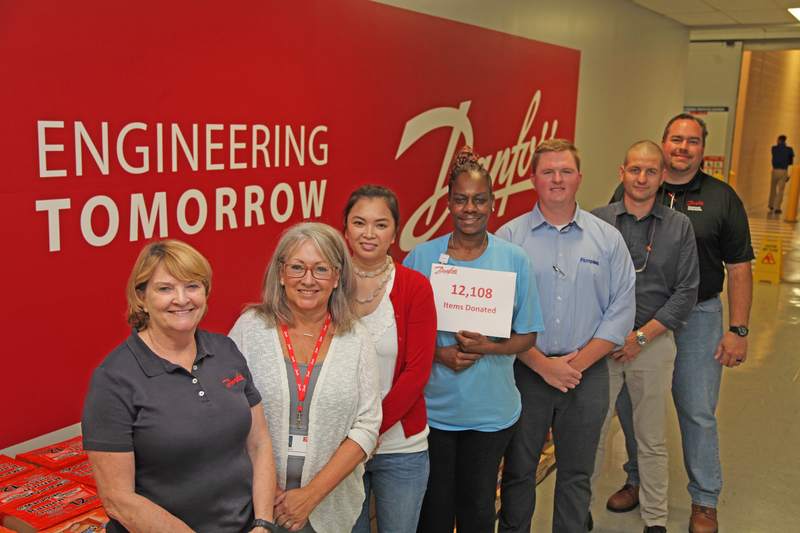 Danfoss has hosted the Back to School Drive each of the last two years, increasing last year’s total of 11,074 items to 12,108 in this year’s drive. 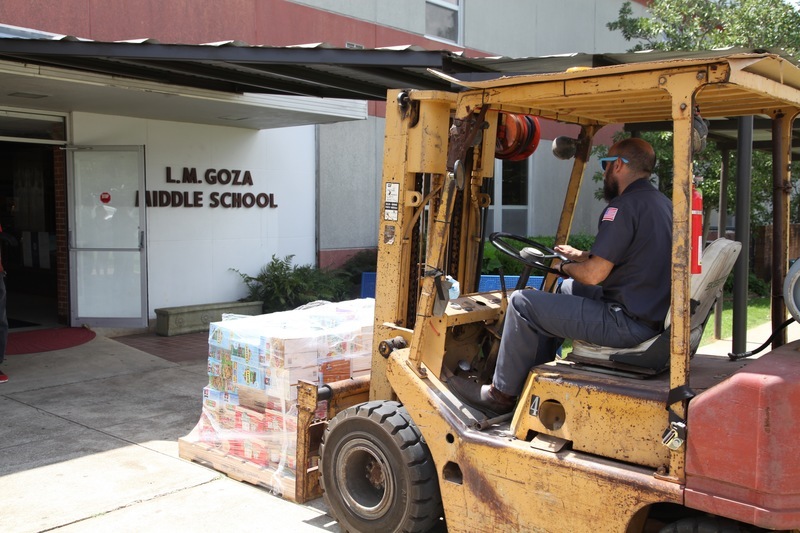 Clark County Judge Troy Tucker’s staff assisted in transporting the food from Danfoss to Goza Middle School where counselors took the food to various campuses for distribution to students. Central Primary Counselor Charlotte Dewitt expressed thanks to the community, and Danfoss in particular, for assisting in a cause that meets a specific need in our community with our children. For more information on how your business or group can be involved in a future food drive for APS students and their families, contact McGough at PFCU at 870-246-8005.